Muhammad al-Qubbanchi was the lead singer in the Iraqi delegation, accompanied by a chalghi group consisting of Yusuf Hugi Pataw on the santur, Salih Shummel, joza, Ezra Harun, ‘ud, Yusuf Za‘rur, qanun, Yehuda Moshi Shammash, dunbuk, and Ibrahim Salih, daff. All the instrumentalists were Baghdadi Jews, mostly illiterate and traditional men, who dressed in the old Baghdadi fashion. Nuri al-Sa‘id, the then Prime Minister, was keen to present a modern face of Iraq. He entrusted the one efendi (here meaning dressed in European fashion) among them, Ezra Harun, known as ‘Ezzouri, to dress them in the European style and to train them in appropriate conduct for such an occasion. A funny anecdote was related by Qubbanchi: one evening, while their mentor ‘Ezzouri was out, the Iraqi musicians were visited at their hotel by an Egyptian journalist looking for an interview. He enquired about the state of musical arts in Iraq. Pataw, evidently mystified by the question, replied honestly in an archaic Baghdadi Jewish accent. "What art of the graves! We play at weddings, and people drink and start fighting, and soon knives are flying, and we (the musicians) hide in the lavatories." This anecdote comically illustrates the clash between traditional perceptions and practices and the new notion of 'art', which the Cairo Congress was celebrating. مقام خنبات من اداء الوفد العراقي (السنطور: يوسف حوكي پتو، الكمانه البغداديه: صالح شميل شمولي، الدف الزنجاري: ابراهيم صالح، الدنبك: يهودا شماس، العود: عزوري هارون، القانون: يوسف مير زعرور الصغير) في مؤتمر القاهره الاول للموسيقى العربيه في مصر عام ١٩٣٢ بمشاركه وفود موسيقيه رسميه من جميع البلدان العربيه بالإضافه الى تركيا. وقد فاز الوفد العراقي برئاسه قارئ المقام محمد القبنجي بالمركز الاول بعد استفتاء لجنه المؤتمر من الخبراء الموسيقيين العرب و الاتراك و الاوربيين و تم تكريم الوفد من قبل الملك فؤاد الاول. Instrumental performance of Maqam Khanabat by the Iraqi delegation to the First Cairo Congress of Arab Music (Le Congrès du Caire) in Egypt, ِ1932. The Iraqi delegation led by maqam performer Muhammad al-Qubbanchi won the first place and were awarded by King Fuad I.
Maqam Rast by Muhammad al-Qubbanchi and members of the Iraqi delegation to the First Cairo Congress of Arab Music (Le Congrès du Caire) in Egypt, ِ1932. The poetry sung here is a takhmis by Sayyid Ja'far al-Hilli al-Najafi (1861-1898) of a poem by Muhammad Sa'id al-Habbubi (1849-1916). مقام الرست من اداء الاستاذ محمد القبنجي مع اعضاء الفرقة الموسيقية العراقية (يوسف بتو، صالح شميل، ابراهيم صالح، يهودا شماس، يوسف زعرور الصغير، عزوري هارون العواد) في مؤتمر القاهرة الاول للموسيقى العربية في مصر عام ١٩٣٢. - Muqaddima, instrumental introduction in rast mode. - Tahrir, unmeasured vocal introduction presenting the rast mode to the word "yar" (love, Turkish) (0:18), descending from the rast (C) to the 'ushayran degree, then up to the rast, dukah, segah and nawa gradually descending back to rast, then up to the kardan through the 'arabat hijaz and nawa (1:06). This version of the tahrir is called Rast Hindi. 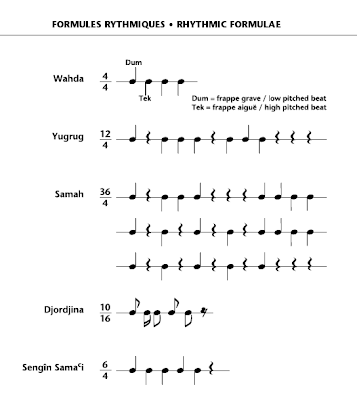 - Dulab, instrumental interlude in sharqi rast mode and a 4/4 wahda rhythm. - Part of recording of third meyana called Madani damaged from origin. Improvisation on the santur in Maqam Awj by Yusuf Hugi Pataw as part of the Iraqi delegation to the First Cairo Congress of Arab Music (Le Congrès du Caire) in 1932. 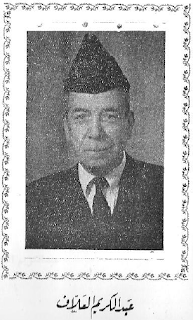 Yusuf Pataw was sent as a replacement for his father usta Hugi Pataw, head of the Baghdad Chalghi ensemble at the time, who could not attend due to his old age. يوسف بَتَو بن حوكَي بن صالح بن رحمين ولد في محله الطاطران في بغداد سنة ١٨٨٦ و كان من مهرة العازفين على السنطور، اخذ فنه من ابيه الاسطه حوكَي بتو. و ليوسف بتو جوق للجالغي البغدادي اشتغل به مع رشيد القندرجي و يوسف حوريش و محمد القبنجي. و كان جوقه هو الذي صحب القبنجي الى مصر فعزف له في المؤتمر الموسيقي الشرقي الذي عقدته الحكومة المصرية سنة ١٩٣٢. تتلمذ على يده الحاج هاشم الرجب على آله السنطور قبل ترحيل اعضاء الجالغي اليهود من العراق في اوائل الخمسينات. توفي سنة ١٩٧٦ خارج العراق. Improvisation on the santur in Maqam Taher and Hadidi by master Yusuf Hugi Pataw as part of the Iraqi delegation to the First Cairo Congress of Arab Music (Le Congrès du Caire) in 1932. The Maqam Taher is a secondary maqam derived from the Maqam Jahargah (chahargah) while the Maqam Hadidi is derived from the Saba. تقسيم سنطور من مقامي الطاهر و الحديدي العراقيين من اداء يوسف حوكي بتو (١٨٨٦-١٩٧٦) في مؤتمر القاهره الاول للموسيقى العربيه في عام ١٩٣٢. .
Improvisation on the santur in Maqam Seigah (Sikah) and Hileilawi by master Yusuf Hugi Pataw as part of the Iraqi delegation to the First Cairo Congress of Arab Music (Le Congrès du Caire) in 1932. تقسيم سنطور من مقامي السيگاه و الحليلاوي من اداء يوسف حوكي بتو (١٨٨٦-١٩٧٦) في مؤتمر القاهره الاول للموسيقى العربيه في عام ١٩٣٢. .
Improvisation on the santur in Maqam ‘Araybun and Urfa by master Yusuf Hugi Pataw as part of the Iraqi delegation to the First Cairo Congress of Arab Music (Le Congrès du Caire) in 1932. Improvisation on the qanun in Maqam Penjigah by master Yusuf Efendi Za‘rur Jr. as part of the Iraqi delegation to the First Cairo Congress of Arab Music (Le Congrès du Caire) in 1932. تقسيم قانون من مقام البنجگاه العراقي من اداء يوسف مير زعرور الصغير في مؤتمر القاهره الاول للموسيقى العربيه في عام ١٩٣٢. Improvisation on the qanun in Maqam Hijaz Diwan and Khanabat by master Yusuf Meir Za‘rur Jr. as part of the Iraqi delegation to the First Cairo Congress of Arab Music (Le Congrès du Caire) in 1932. تقسيم قانون من مقامي الحجاز ديوان و الخنبات من اداء يوسف مير زعرور الصغير في مؤتمر القاهره الاول للموسيقى العربيه في عام ١٩٣٢. Improvisation on the oud in Maqam Lami by ‘Azzuri Harun al-‘Awwad (1903-1995) as part of the Iraqi delegation to the First Cairo Congress of Arab Music (Le Congrès du Caire) in 1932. تقسيم عود من مقام اللامي العراقي من اداء عزوري هارون العواد (١٩٠٣-١٩٩٥) في مؤتمر القاهره الاول للموسيقى العربيه في عام ١٩٣٢. Improvisation on the oud in Maqam Hakimi and Dasht by ‘Azzuri Harun al-‘Awwad (1903-1995) as part of the Iraqi delegation to the First Cairo Congress of Arab Music (Le Congrès du Caire) in 1932. تقسيم عود من مقامي الحكيمي و الدشت من اداء عزوري هارون العواد (١٩٠٣-١٩٩٥) في مؤتمر القاهره الاول للموسيقى العربيه في عام ١٩٣٢. Improvisation on the joza in Maqam 'Ushaq by Salih Shummel Shmuli as part of the Iraqi delegation to the First Cairo Congress of Arab Music (Le Congrès du Caire) in 1932. Demonstration of nine Iraqi rhythms on the tabla (dumbug or dunbug) by Yahouda Moshe Shammas as part of the Iraqi delegation to the First Cairo Congress of Arab Music (Le Congrès du Caire) in 1932. Demonstration of nine Iraqi rhythms on the daff (riqq or tambourine) by Ibrahim Efendi Salih as part of the Iraqi delegation to the First Cairo Congress of Arab Music (Le Congrès du Caire) in 1932. The form taken in Iraq by the sawt of hidjaz is the maqam which is the most perfect and noblest form the learned music of that country can offer. The maqam is performed by one singer (the qari) and three musicians who play respectively the santur (similar to a mediaeval dulcimer i.e. psaltery struck by mallets), the djoza (spike fiddle) and the tabla or tombak (a double drum). To constitute the djalghi baghdadi of nuba ensemble another kind of drum is added: a riqq - the drumhead of which is stretched over a wooden frame -. The principal part characteristic of the maqam is a poem written in one of the sixteen varieties of classical metres either in literary Arabic or in colloquial language. In the latter case the poem is called zuhairi. 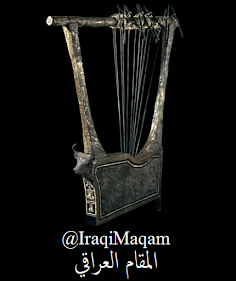 The maqam, the tradition of which has lasted in Iraq for nearly four centuries, has been transmitted orally by the Iraqi masters in an uninterrupted chain between past and present. The singer improvises melodic passages making freely use of different rhythms while passing progressively from one region of the chosen mode to another. Displaying all his virtuosity and flexibility of voice he reaches the acme of the maqam; then leaves it imperceptibly and comes to the final note of the mode after having embroidered musical phrases, all of them proofs of his talent and inventiveness. The maqam starts with the tahrir often preceded by an instrumental introduction called badwa and composed on a well-defined rhythm; the singer accompanies the badwa passing alternately from high-pitched notes to low-pitched ones. The tahrir is made of one or more songs, the texts of which may be extended by one or two Arabic, Persian or Turkish interjections added by the singer when the texts of the songs prove too short with regard to the improvised melody. The maqam ends with the taslim or taslom which is a text set to a falling melodic passage ending with the final note of the scale of that maqam. 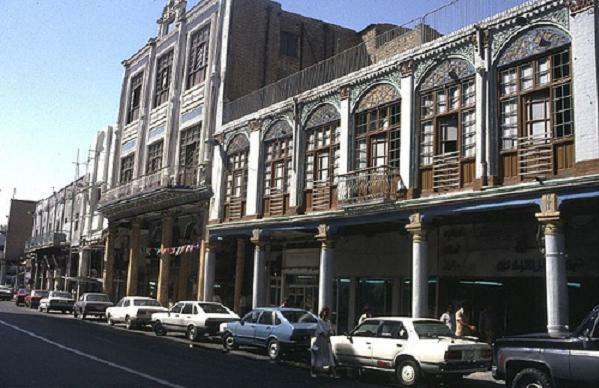 Between the tahrir and the taslim there are a series of melodic passages of variable length which are performed alternately by the singer and the musicians and which develop in turn the different regions of the scale. The artists who interpret maqam-s are considered to be autorities on the matter of repertoire; they know all about it and are famous for the specific way in which they interpret a given maqam. Some of them are famous for the passages they have added to certain maqam-s, others for the composing of whole maqam-s with a view of enriching the already rich repertoire. A concert when only maqam-s are played is called a fasl. In such a fasl the maqam-s are always played in the same order and the fasl is named after the first maqam of the series. The Iraqi repertoire offers five fasl-s : bayat - hidjaz - rast - nawa and husseini. At the end of every maqam the orchestra plays a pesté which is a piece of music composed in the same mode as the maqam. This device allows the singer to rest before the beginning of the next maqam. In former times it was usual to play several fasl-s on a musical evening. Among the masters of the maqam who have carried on its musical tradition, generation after generation, and whose names are still known nowadays, we will mention: Mulla Hassan Babudidji (1782-1840) and his pupil Ramallah Shiltag who taught a whole generation of artists, the most famous of whom were Ahmed Zaidan and Mulla Osman Almussili. Many artists of the following generation have Ahmed Zaidan to thank for their musical talent and their fame, for instance Rashid Kandardji (deceased in 1963) and Abbas Chikhali. Among the next generation we will quote the great master Mohammed El Qabbandji who was born in 1901 and considered the greatest of his time for the register of his voice as well as for the precision of his interpretation of the traditional maqam. Endowed with a vast memory, he had memorized a great number of poems, which allowed him to sing what was fit in all circumstances. He was sent to the International Congress of Arabian Music in Cairo in 1932, as a representative of Iraqi music. Many of his interpretations were recorded on that occasion, which gives us an opportunity to hear them nowadays. We have also come across music played by Abbas Chikhali and recorded at the same period but its commercial success has been rather limited. What is recorded here is all the more valuable as it is nearly unavailable. The companies that released those masters' records do not exist any longer. The extant recordings have been taken care of miraculously by the BBC Record Library and put at our disposal since we have undertaken to save the musical heritage of the Arab World in our Anthology of Arabian Music.